The Q3 2016 results are now available on Nicholas Hall’s DB6 database, and the trend information will soon be updated on the OTC DASHBOARD website. In this week’s blog, we take a closer look at the latest growth trends for the Top 20 OTC markets in the world. Overall, the global OTC market performed steadily in Q3 2016 with a 4.3% rise, the same growth rate as we saw in Q2 2016. However, this performance can be seen as mediocre compared to the full-year 2015 period, when OTC sales were up by 5.5%. The global No.1 market, USA, showed signs of deceleration in Q3, with sales up by only 2.2%. This is largely owing to the slowing down of sales for major switches, such as Flonase allergy remedy and Pfizer’s Nexium 24HR antacid. That said, the USA should enjoy an upturn in the new year with switches such as GSK’s Flonase Sensimist (allergy remedy) and Galderma’s Differin Gel (acne remedy) in the pipeline. Compared to other categories, Lifestyle OTCs in the USA showed continued dynamism in Q3 2016, with sales up by a steady 5.0%; this was owing in part to double-digit growth for obesity treatments (+43.4%). China’s growth also continued to lose steam in Q3 2016, where sales were up by 6.0%. China’s OTC market continues to grow year-on-year, but in recent years growth has gradually slowed; this is considered to be owing to a weaker economy, new regulations and also the crackdown on MNCs and domestic companies. 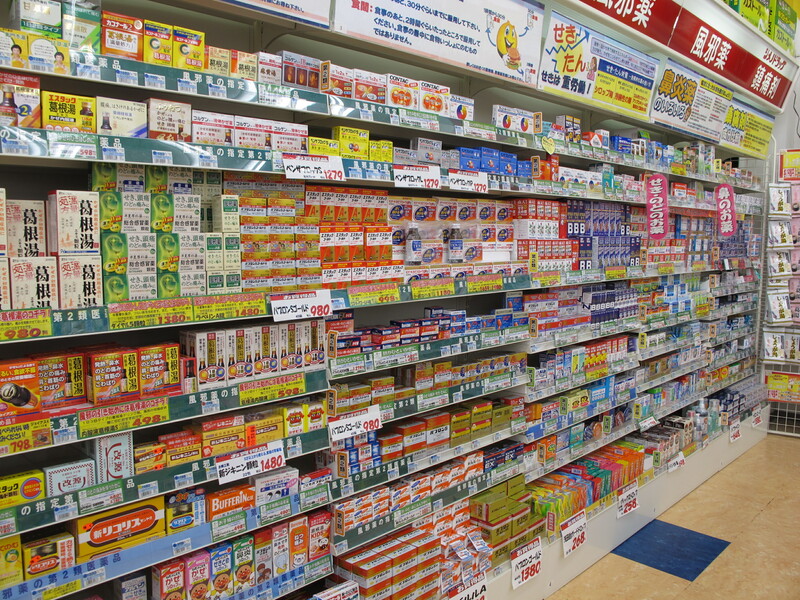 Weaker growth overall in Q3 came despite continued growth for analgesics, which were up by 8.4%, making it the most dynamic OTC category in China, thanks to high levels of innovation and advertising in this area. In Q3, growth also weakened in Japan and Europe as a result of low levels of Rx-to-OTC switch activity and weak cough, cold & allergy growth in early 2016. Italy was an exception to sluggish growth in Europe, where sales of OTCs were up by 3.5%; this was thanks to strong growth for Lifestyle OTCs (+11.1%), with a particularly dynamic performance from emergency hormonal contraceptives, sales of which rose by 226%. Latin America remains the strongest performing region, with growth up by 15%. This is thanks to significant growth from Venezuela, up by 39% in Q3, owing to high levels of inflation. Despite a tough economic climate in Brazil, the OTC market remains robust with sales up by 9.5%, as a result of increased awareness of health and wellbeing. Elsewhere in Q3 2016, India’s growth accelerated with sales up by 9.5%, owing to a strong performance from gastrointestinals (+10.3%). Turkey also performed well with growth up by 6.8%, thanks to VMS sales and a strong upturn for Lifestyle OTCs. This week, OTCs are in Action in Japan, where the government plans to reward self-medicating consumers with a tax deduction. Under current tax codes, Japanese consumers can deduct medical expenses over US$800 or so per year from taxable income, but OTC expenses are often not high enough to meet this threshold. A recently proposed tax incentive will require a minimum OTC expenditure of only about us$80 to qualify for the deduction – a benefit the government is hoping will nudge consumers with minor ailments away from expensive hospitals, and toward drugstores. Nichols Hall’s DB6 database shows that the US$7bn Japanese OTC market has been ailing with sales declines for the past several years – encouraging people to put OTCs in Action for financial rewards will be therapeutic for consumers, manufacturers and government.